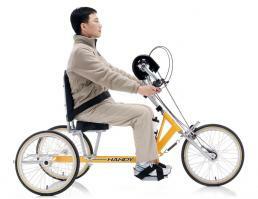 Super light weight 7 speed hand propelled trike, ideal for riders with physical challenges. NOW IN STOCK FOR IMMEDIATE DELIVERY!! In our goal to find cycles to meet the needs of special needs riders, we are proud to introduce the Hand Driven HHS7 Hand Cycle. Made by a well respected company overseas, the HHS7 addresses the needs of those riders needing to use their hands to propel the cycle or for those who desire to do upper body training. Easy to ride, convenient to transport and store The HHS7 handcycle has been engineered to provide the ideal cycling experience for athletic advancement of upper body strength and toning for athletic events. Especially valuable to triathletes and challenged athletes, it provides the perfect way to get in shape and stay that way. The HHS7 features easy-to-use hand-pedaling, steering and braking controls. 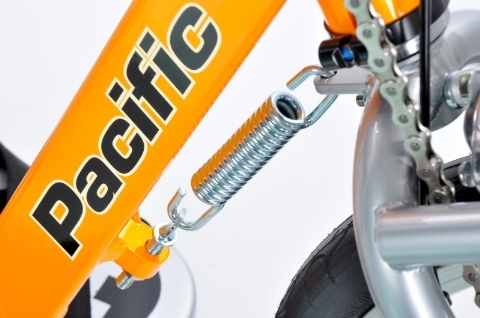 We continue to refine and improve upon our design to provide the best hand-driven cycle available. No options to select for this model, but please download Owner's Manual for more information.